Wealth management, investing, investment advice, financial planning, financial clarity. 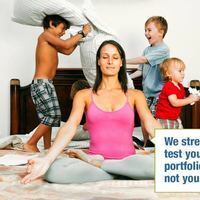 We work with individuals and families who want to take a prudent, disciplined approach to preserving and growing their wealth over the long term. Ultimately, we’re most successful at what we do because we become subject experts in one specific area: our clients. By listening carefully to our clients and applying our experienced guidance, we bridge the gap between investment advice and a client’s unique goals. The result? Our clients feel confident about their financial future. From Sun Valley, to the Silicon Valley, our goal is to foster a sense of well-being for our clients.